For a while, we’ve known that Apple’s 2018 iPad Pro lineup would consist of tablets featuring slimmer bezels, thus emulating the design of the iPhone X. 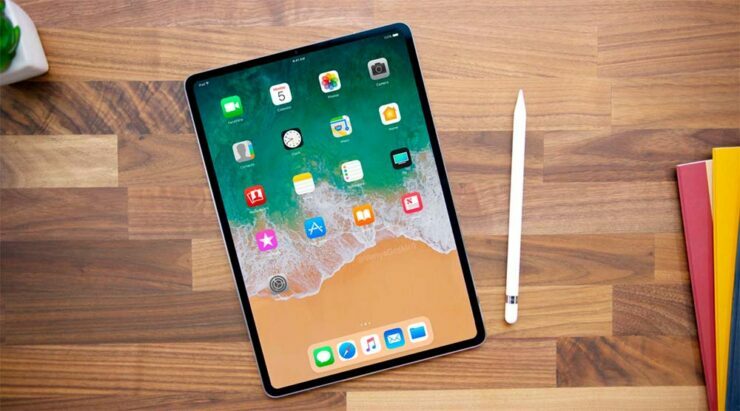 This will translate into the iPad lineup sporting a smaller footprint than the series launched in 2017, but it does not necessarily mean that the newer models will come with an OLED screen since that will not only be difficult to produce but also add to the cost of the entire product. The new iPad Pro models will end up providing support for Face ID, but since they might not feature facial recognition in landscape mode, users will have to rely on their 6-digit passcode to gain access to their tablets. AppleInsider believes that the new iPad Pro 2018 lineup will not feature a 3.5mm headphone jack but since Macotakara reports that Apple will not be bundling ‘Lightning to 3.5mm headphone jack adapters’, it is hard to make what Apple is planning for its upcoming slates. However, this can mean that customers who end up purchasing the newer models will have to buy dongles separately or rely on Bluetooth-enabled headphones or earphones to get the job done. This is the same report that highlighted that the iPhone 9 will have slimmer bezels than the iPhone X from last year. The dimensions of the new 10.5-inch iPad Pro model, which might also end up becoming the 11-inch model thanks to slimmer bezels will go from 250.6 x 174.1 x 6.1mm to 247.5 x 178.7 x 6mm. As for the 12.9-inch variant, it could go from 305.7 x 220.6 x 6.9mm in dimensions to 280 x 215 x 6.4mm. Other specifications of the newer models include octa-core processors running in the new Apple A11X Bionic chipset, as well as support for Animoji and large amounts of RAM to allow for multitaskers to take advantage of the larger screen real estate and tackle things like a small amount of word processing, replying to emails, and more. What other additions are you expecting from the new 2018 iPad Pro lineup? Tell us down in the comments.